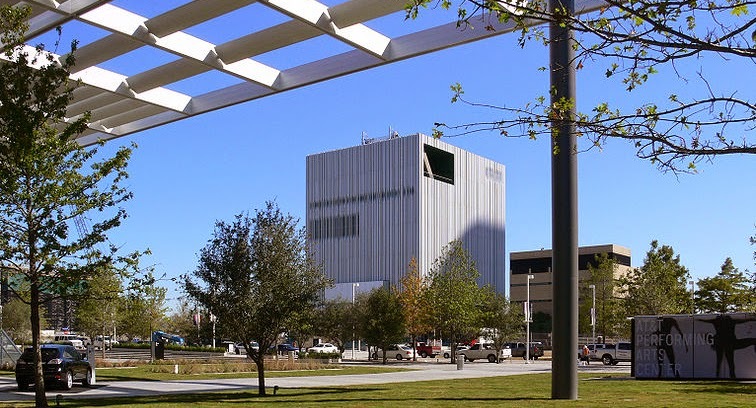 The huge AT&T Performing Arts Center in the Dallas Arts District is doing an experiment. They have opened their smaller spaces to several small arts groups (theatres, dance groups and storytellers) to each do one production in the venue during the 2014-2015 season. It is called the Elevator Project. I weighed in on this yesterday after an article about the project appeared in Art & Seek, a local arts and culture website. "In fact, I think it might be a fallacy to believe more mid-size and larger theatres would be good for Dallas. There are so many smaller groups percisely because there is room to operate, room to say something unique and audiences to appreciate what is said at the smaller end of the spectrum. Dallas seems to reward gumption, spark innovation and prides itself on fostering scrappy go-getters. And I would hazard to argue that there are no groups more scrappy than the 40-someodd theatre groups spread all around the Metroplex that do little shows for handfuls of audiences at a time. Read my whole soapbox rant... HERE.